Now our best-selling instant noodle, a new shipment just arrived after we'd been out of stock for months. Have you tried Pad Char yet? 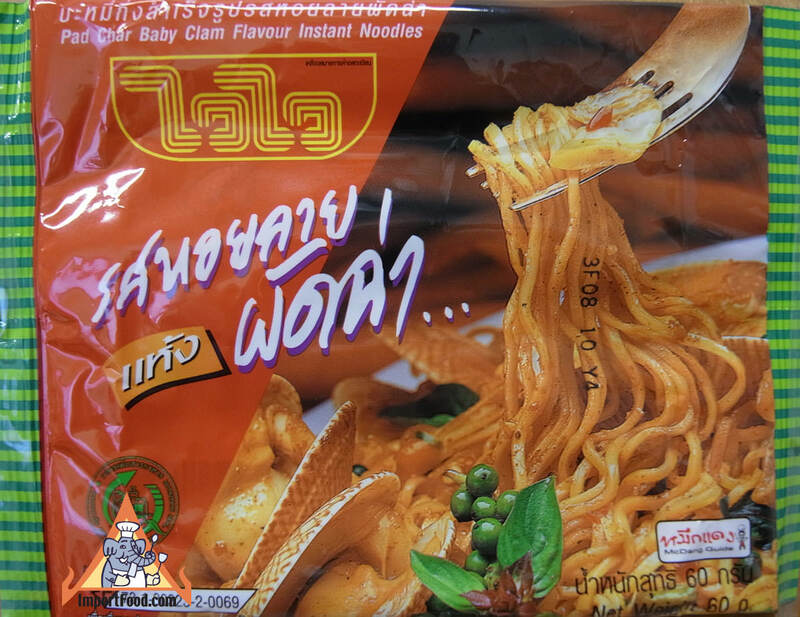 These instant noodles from Wai Wai are rich with spice (a blend of natural hot chile & citrusy lime flavors). These instant noodles are eaten "dry" (similar to kee mao). 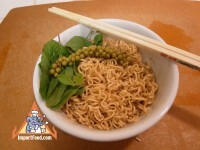 Simply put the noodles into a bowl of hot water and sit for 3 minutes, then drain and add the seasoning powder & paste. 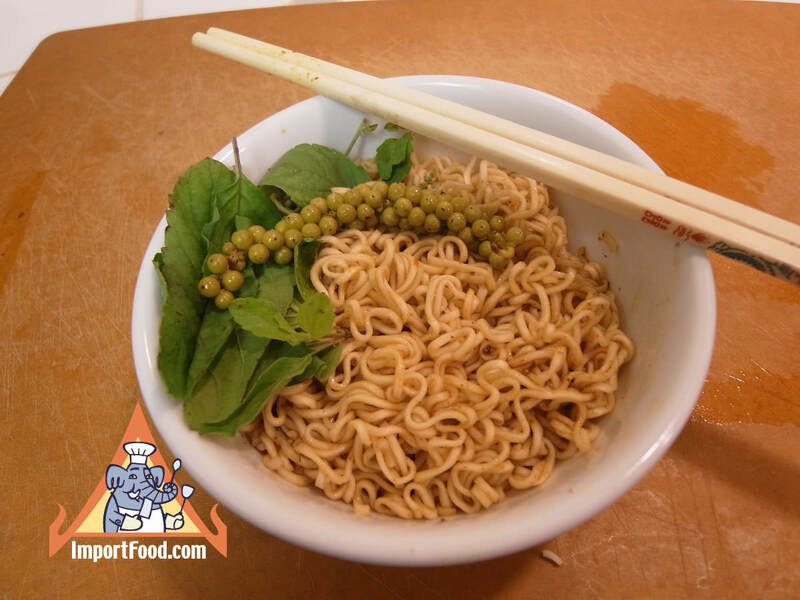 To make these noodles "really" good, serve with some fresh Thai basil and a vine of green peppercorn. 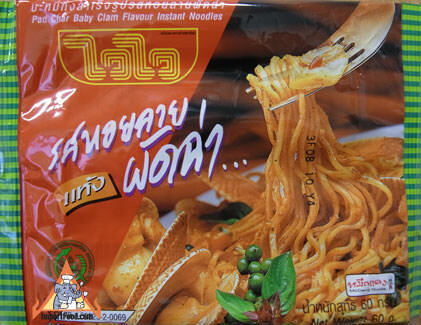 Ingredients of noodle: wheat flour, palm oil. 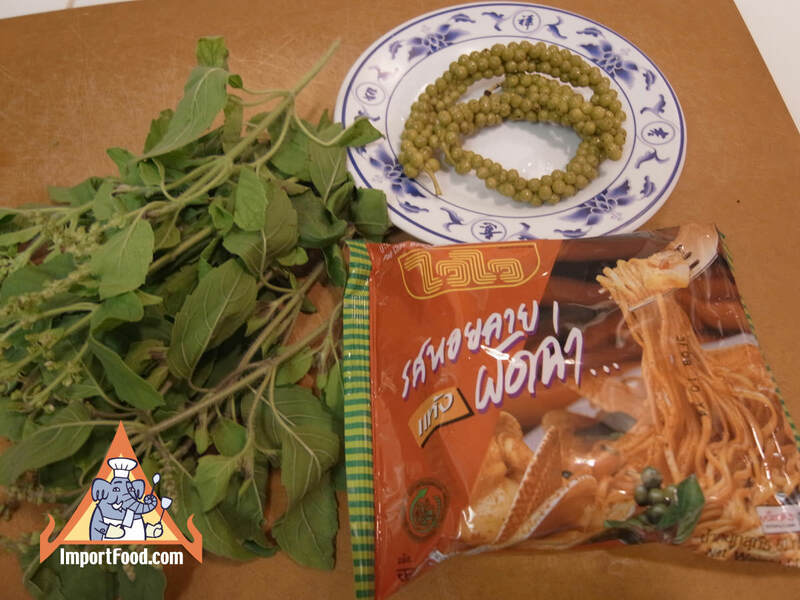 Ingredients of seasoning powder: sugar, ground spices (pepper, shallot, kaffir lime leaves), salt, msg, garlic powder, sweet basil powder, vitamin and mineral. Ingredients of seasoning paste: palm oil, shallot, garlic, chili powder, shrimp paste.